Happy Saturday, My Lovelies! 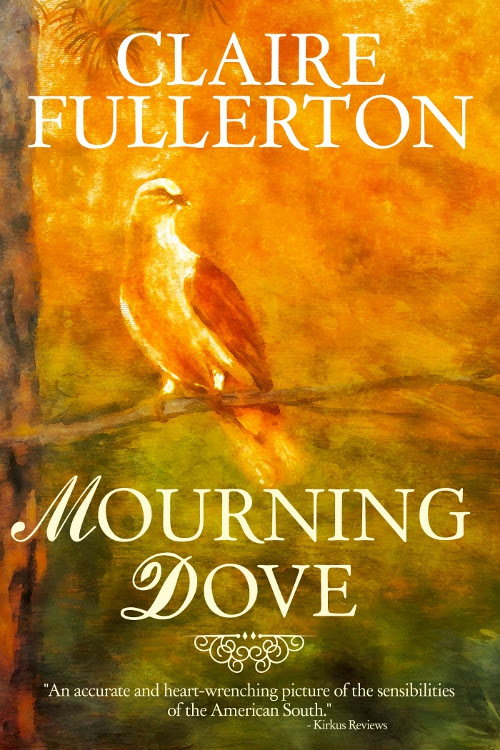 Today I have a real treat for you: an excerpt from the novel Mourning Dove by Claire Fullerton. I'm excited about this one because I enjoy Southern fiction. If Millie Crossan doesn't know anything else, she knows this one truth simply because her brother Finley grew up beside her. Charismatic Finley, eighteen months her senior, becomes Millie's guide when their mother Posey leaves their father and moves her children from Minnesota to Memphis shortly after Millie's tenth birthday. Memphis is a world foreign to Millie and Finley. This is the 1970s Memphis, the genteel world of their mother's upbringing and vastly different from anything they've ever known. Here they are the outsiders. 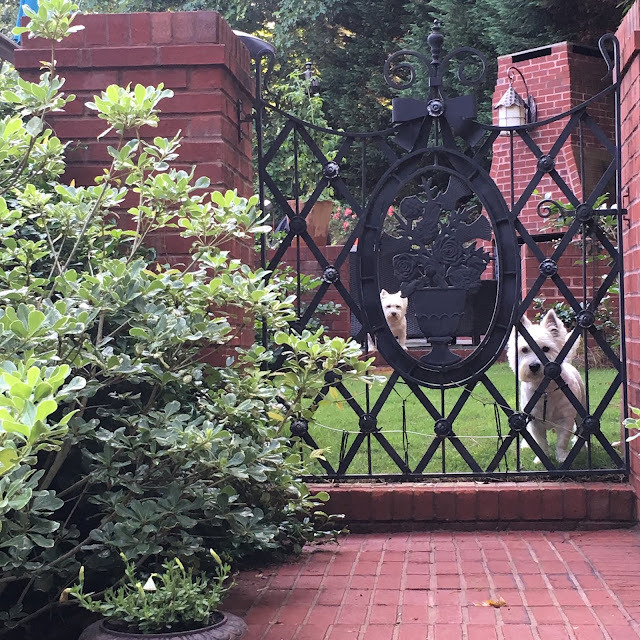 Here, they only have each other. 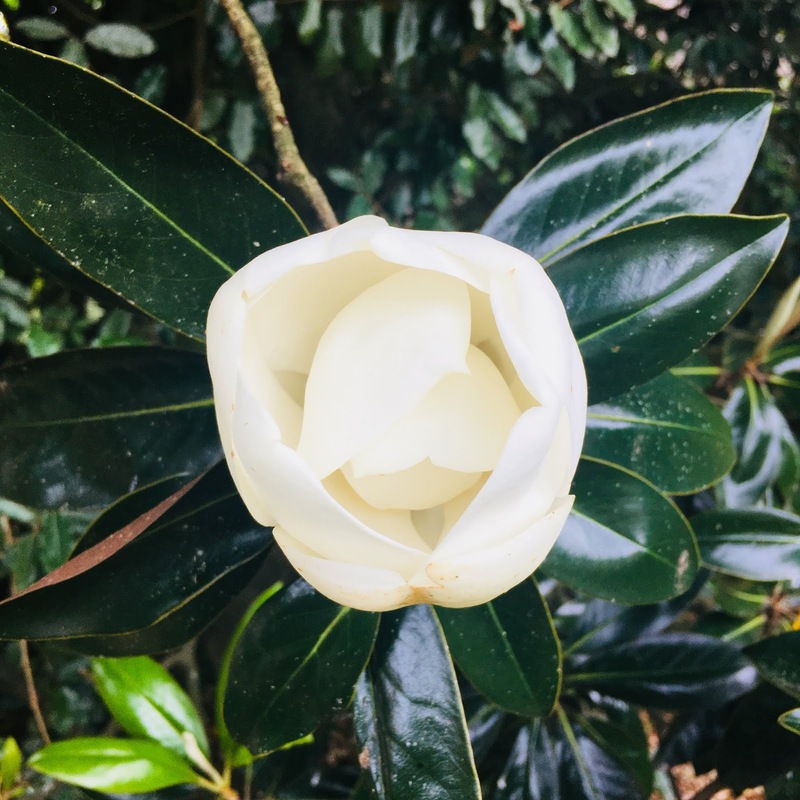 And here, as the years fold over themselves, they mature in a manicured Southern culture where they learn firsthand that much of what glitters isn't gold. Nuance, tradition, and Southern eccentrics flavor Millie and Finley's world as they find their way to belonging. But what hidden variables take their shared history to leave both brother and sister at such disparate ends? At the end of the summer of 1970, when my mother reconciled herself to the idea of divorcing my father, she needed to devise a long-range plan. She wanted to keep up appearances, my father had lost all our money, which left her with four years until she could access the money her father left her in trust. After uncharacteristically humbling herself for financial assistance from my father’s wealthy relatives, she packed Finley and me in the car and drove with steel determination to Memphis. She’d left my father standing drunk and hopeless in the driveway, watching his family evaporate in the distance, wondering how his life had come to this. Her mother, senile and incapacitated in Memphis’ Rosewood Nursing Home, barely clung to life. Although the house at 79 Kensington Park was in Gaga’s name, my mother had power of attorney. 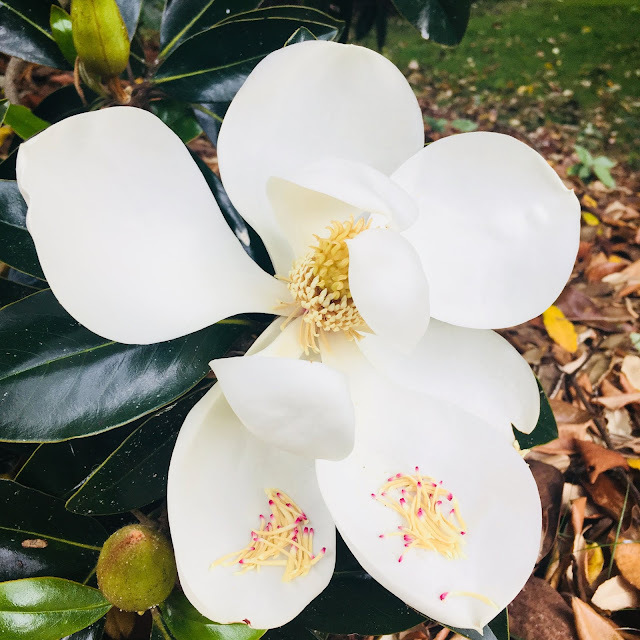 Pappagallo shoes, and—because a lady never steps a toe in public without it—smoothed on her pale-pink lipstick, and drove to East Memphis, where Hutchison sat regal and tree-lined, overlooking a serene lake. She marched the two of us unannounced and entitled into the ground-floor office of the school’s headmistress, and seated herself cross-legged upon an upholstered chair while I found a seat on a chintz-covered sofa and wondered what to do with my hands. Are you intrigued? Would you like to read more? 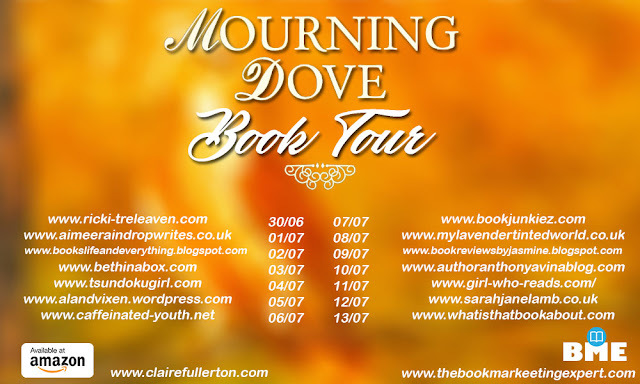 Below is a list of the stops for this excerpt tour. Thanks to the Book Marketing Expert for letting me be a part of the tour! I featured it on my Instagram photo today. Hello, My Lovelies! Have you missed me? I've certainly missed you!!! Unfortunately, life sometimes gets in the way of blogging, and June has proven to be a very unusual month. We've celebrated friends' children's graduations (both HS and college): Not unusual for late May and early June, but the NUMBER of the graduates for our small corner of the world has been unusually high. Congratulations to our young friends and their accomplishments! We've spent lazy weekends at the lake, and watched torrential rains and late-season storms. Just this past week Alabama has been hit with severe thunderstorms and an F-2 tornado. We've had close friends with personal crises, one involving a critical illness. One of our friends is having major surgery this week (Thursday, June 28th). His name is Randy, and he needs your prayers. Our daughters have been unusually busy, and we were able to sneak away to the lake for a few days earlier this month. It was such a blessing to spend a few days with Shanley Belle! Shanley is preparing for a trip to Hiroshima to present her research. Please pray for good health and safe travels for her. Lately I was reminded of my own mortality, and I am adapting a healthy lifestyle and educating myself. This is taking-up a huge chunk of my time. But my situation is improving daily, and today I completed a thirty-day yoga challenge. I can tell a real difference in my strength and flexibility! Sadly, we had to cancel two trips earlier this spring, but I'm hoping that we can squeeze one in at the end of summer. I won't be able to review as many books for the next couple of months because I won't have the time to read them. I know I made a few commitments to review books, and I'm so sorry that I cannot fulfill those commitments at the present time. I can post guest posts and book excerpts for now if anyone is interested. Please email me and let me know! I haven't been much of a presence on Instagram lately, but I hope to try and at least post one fun photo per day. Please follow me and I'll follow you back! 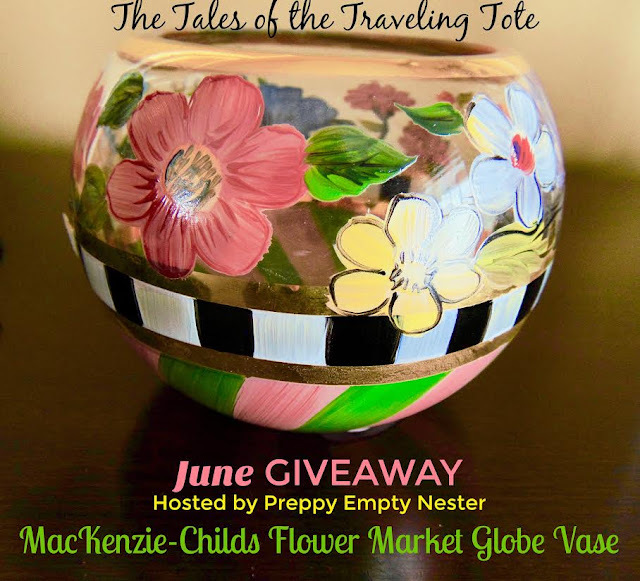 This is an IG post for TLC Book Tours. It's my favorite one I've posted so far this month. I appreciate that Lisa and Trish are allowing me to continue IG Tours while I get stronger! 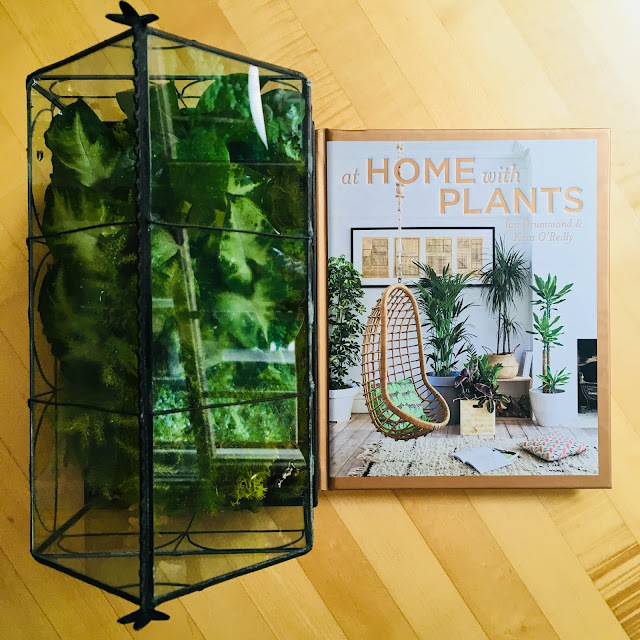 I'm still referring to this awesome book, and I'm really getting creative with my house plant choices. This bird's nest fern is growing out of a lava rock! See the black underneath? It's the rock! I know I haven't posted many reviews lately, but if you're looking for a fun cozy mystery series, I suggest Ellie Alexander's Bakeshop Mysteries. I love Jules, and I hope to read this one soon. I hope you guys are having a great summer. Thanks for reading my blog. Y'all's encouragement means so much to me! Welcome to What I'm Reading Wednesday, My Lovelies! 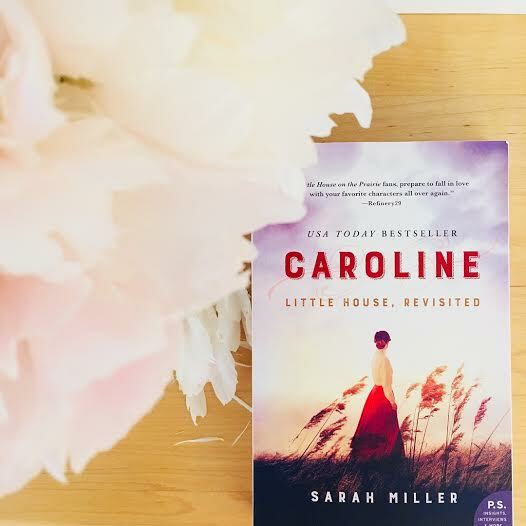 I have a treat to share with you today: Caroline: Little House Revisited by Sarah Miller. Since reading about Caroline via the October, 2017 Indie Next List, I placed it on my TBR list. 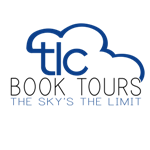 So when TLC Book Tours presented me with the opportunity to read, review, and share on my blog, I jumped at the chance! The Little House series is a favorite of ours, and I read the entire series to both of our children because it was one of my favorites as a child. I was eager to read this beloved story of the little house on the prairie from Caroline's point of view. I was not disappointed, but it did take me a little bit of time to get used to the adult point of view because I'm so familiar with the Little House series. Miller's version of the story is well-researched, and it's a blend of Laura Ingalls Wilder's story from Little House on the Prairie and historical accuracy. I found the story so frustrating for the Ingalls family because they leave their life and family in Wisconsin to stake a claim in Kansas; the beauty of the plan is that they would be debt-free with the money from selling their land in Wisconsin. The family's travel to Kansas is difficult and suspenseful: crossing the frozen Mississippi River as it's thawing; severe storms and torrential rains; and wet and mildewed supplies. The family makes it to Kansas, and Mr. Edwards helps Charles build a home for the family (where they survive a wolf pack that could have easily entered their quilt-covered door). Carrie is born in Kansas, and Charles and Caroline start meeting people and forming bonds. Then Gustafson defaults on his loan to Charles and moves on. Charles can't pay for the Kansas land, and his former property reverts back to him. Now the Ingalls must move home. There are several things that stand out in my mind about this book. The first one is Caroline's concern over her baby's quickening as they travel. There's always that anxiety paired with everything else as the family moves with their meager belongings in their covered wagon. Plus Charles' reaction to Gustafson's inability to pay for his property is heartbreaking. That scene is so powerful that it made me cry! 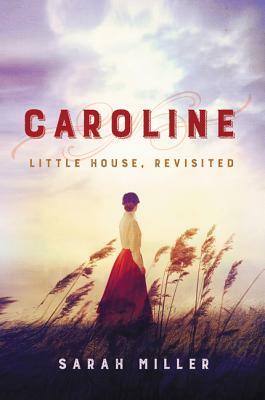 If you love the Little House series, you'll love Caroline. I enjoyed it so much that I've already placed holds on Miller's books about Lizzie Borden and Helen Keller. If I enjoy them as much as I did Caroline, then I'll purchase them for our home library. 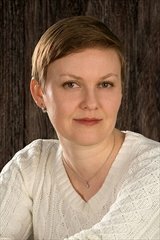 Sarah Miller began writing her first novel at the age of ten, and has spent the last two decades working in libraries and bookstores. 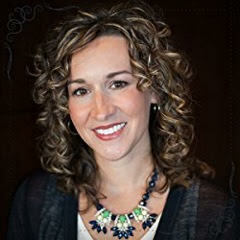 She is the author of two previous historical novels, Miss Spitfire: Reaching Helen Keller and The Lost Crown. Her nonfiction debut, The Borden Murders: Lizzie Borden and the Trial of the Century, was hailed by the New York Times as "a historical version of Law & Order." She lives in Michigan. Find out more about Sarah at her website, and connect with her on Facebook, Twitter, and Instagram. 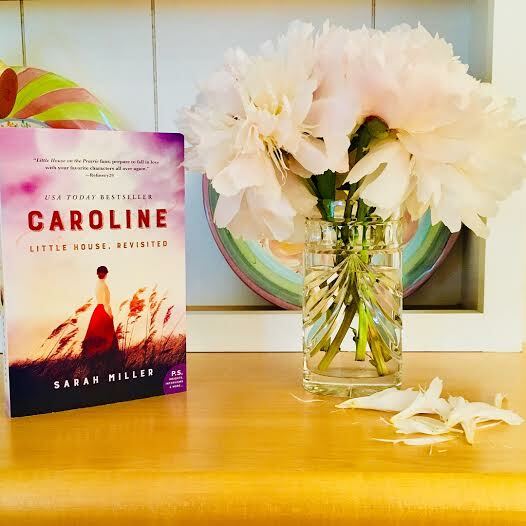 Disclosure: I received a softcover copy of Caroline from the publisher via TLC Book Tours in exchange for a fair and honest review. Above is a IndieBound affiliate link for purchasing Caroline. Happy Friday, My Lovelies! I hope y'all have made some fun weekend plans. Our older daughter is coming home for a visit, and we have lots of fun activities planned. This week I read The Weaver's Daughter by Sarah E. Ladd. I'm finding that I enjoy titles written by Thomas Nelson Publishers, and I'm so happy I've discovered them via TLC Book Tours. Kate's loyalties bind her to the past. Henry's loyalties compel him to strive for a better future. In a landscape torn between tradition and vision, can two souls find the strength to overcome their preconceptions? 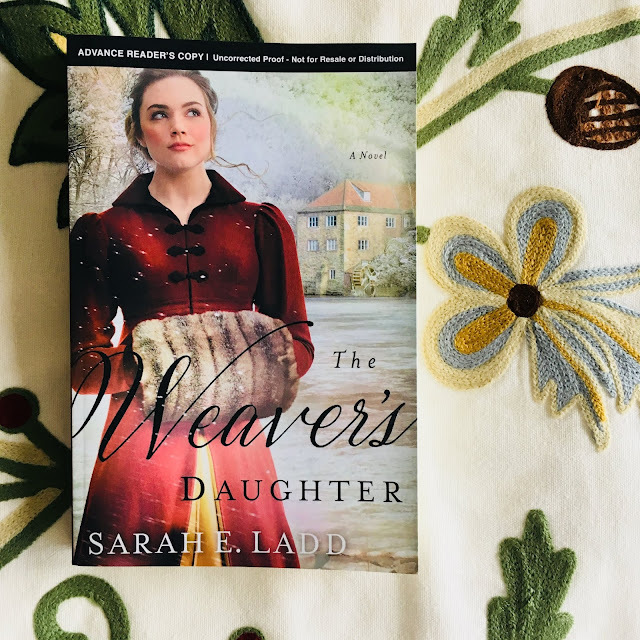 Loyalty has been at the heart of the Dearborne family for as long as Kate can remember, but a war is brewing in their small village, one that has the power to rip families asunder --including her own. As misguided actions are brought to light, she learns how deep her father's pride and bitterness run, and she begins to wonder if her loyalty is well-placed. Henry Stockton, heir to the Stockton fortune, returns home from three years at war seeking refuge from his haunting memories. Determined to bury the past, he embraces his grandfather's goals to modernize his family's wool mill, regardless of the grumblings from the local weavers. When tragedy strikes shortly after his arrival, Henry must sort truth from suspicion if he is to protect his family's livelihood and legacy. Henry has been warned about the Dearborne family. Kate, too, has been advised to stay far away from the Stocktons, but chance meetings continue to bring her to Henry's side, blurring the jagged lines between loyalty, justice, and truth. Kate ultimately finds herself with the powerful decision that will forever affect her village's future. As unlikely adversaries, Henry and Kate must come together to find a way to create peace for their families, and their village, and their souls - even if it means risking their hearts in the process. This Regency historical novel had me hooked from the first scene when Kate is a child, and she is informed by her best friend (and sure to be rival as an adult), Frederica, that they can no longer be friends because Kate's family are weavers and the Penningtons, once weavers, are now millers. This scene also illustrates the rift between an old, traditional way of life and modernization. Later in the novel, the two groups can't even share the dance floor at the End of Winter Festival Ball, with the weavers dancing one round, and the millers the next, etc. Class is often a source for conflict in Regencies, but in this novel it's more than that. It's about losing: one's livelihood, creative process, regional tradition, and the devastation of one's pride due to losing all three. Kate's father Silas is a leader of the weavers. He doesn't trust Henry Stockton because of his prejudice against Henry's grandfather. War has changed Henry, and he is more open to listening to others with differing viewpoints and meeting them halfway, however, he also understands his responsibility to his family's business and their workers. Kate enjoys her work, yet her father only sees her as a woman. Plus he's bitter because his son Charles went to work for the Stocktons at their mill. Kate has a difficult time maintaining her relationship with her brother because Silas forbids Kate to see Charles, and he isn't allowed in their home. One of the many things I love about this novel is that Henry and Kate aren't stock characters; they are well-developed and unique. Given the restrictions placed on Kate and the prejudices instilled in Kate and Henry about the other's family, their relationship seems doomed from the start. One unexpected twist is Kate's budding friendship with Henry's sister, Mollie, and another is Henry's dependence on Charles's skills at the mill. But love conquers all, and this Regency has the added benefit of suspense and a surprising mystery. 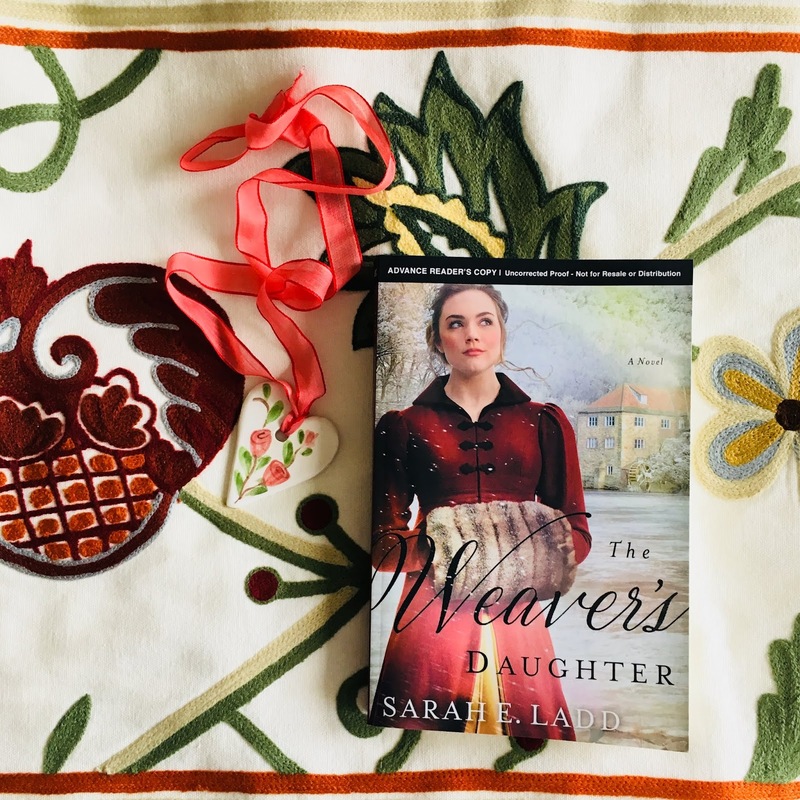 The Weaver's Daughter is a fantastic novel, and I highly recommend it especially if you enjoy Regency romances. Disclosure: I received an ARC of The Weaver's Daughter from the publisher via TLC Book Tours in exchange for a fair and honest review. 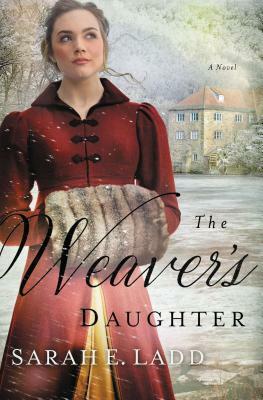 The above book cover is an affiliate link for purchasing The Weaver's Daughter via IndieBound. Happy Thursday, My Lovelies! I can't believe that I've never shared either of these books by Graeme Simsion. Don Tillman is one of my favorite characters, and I recently read both books again. Don Tillman is a scientist, and he believes that all things should be accomplished through the scientific method. He lives a very regimented life and has little patience for nonsense and social nuances. Many of his habits do make sense, like his weekly "standardized meal system." When Don decides to take dating into his own hands and pursue the Wife Project, brilliant PhD student Rosie Jarman calls on Don and his mad grasp of DNA to help her find her biological father. This sweet romance has so many hilarious scenes, yet Simsion is very sensitive to Aspergians (I would not have liked the book otherwise). One scene in particular that I loved is when one Don's colleagues asks him to give the keynote speech at a conference for teens with Aspergers and their parents. He gets the teens all riled up, and it's clear that Don is unaware that he has Aspergers. I love witty dialogue, and this novel is full of it. I belly laughed throughout most of the book, and some scenes had me crying with laughter. Don's ability to make everything in his world more efficient makes for entertaining reading especially compared to Rosie who's one hot mess in all aspects of her life with the exception of academics. Don's abilities far outweigh his social challenges. If you think you'd enjoy an unusual romance, I highly recommend The Rosie Project. Don Tillman and Rosie Jarman are back. The Wife Project is complete, and Don and Rosie are happily married and living in New York. But they're about to face a new challenge because - surprise - Rosie is pregnant. 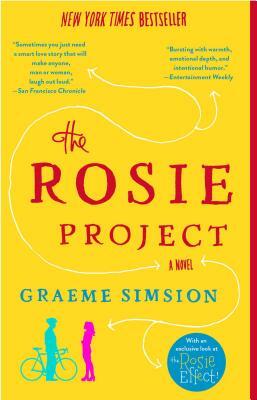 Graeme Simsion first introduced these unforgettable characters in The Rosie Project, which NPR called "sparkling entertainment along the lines of Where'd You Go Bernadette and When Harry Met Sally." The San Francisco Chronicle said, "sometimes you just need a smart love story that will make anyone, man or woman, laugh out loud." 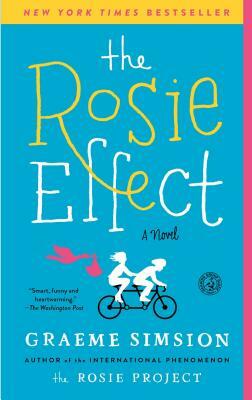 If you were swept away by the book that's captivated a million readers worldwide, you will love The Rosie Effect. I was a little anxious to read this book because I did not want Rosie and Don to break-up. Don is facing so many stresses: a big move to New York City; a new job as a researcher at Columbia University; plus Rosie is expecting. In pure Don style, he approaches the pregnancy as a scientific project, and gets arrested when he takes one of Gene's suggestions to "observe young children." Moms and nannies in Central Park do not appreciate Don's video recording of their charges at play. Don isn't the only one stressed out about becoming a parent. Rosie is burning the candle at both ends as she's simultaneously working on her PhD and her medical degree. She has many issues from childhood that are affecting her current decisions, and she's completely leaving Don out of the parenting loop. Intrepid Don doesn't give up on Rosie nor on fatherhood. In spite of the stress and the secrets he and his friends are keeping from Rosie, he limits himself to only one freak-out. I was so surprised by this sequel, and I think I like it slightly more than The Rosie Project. 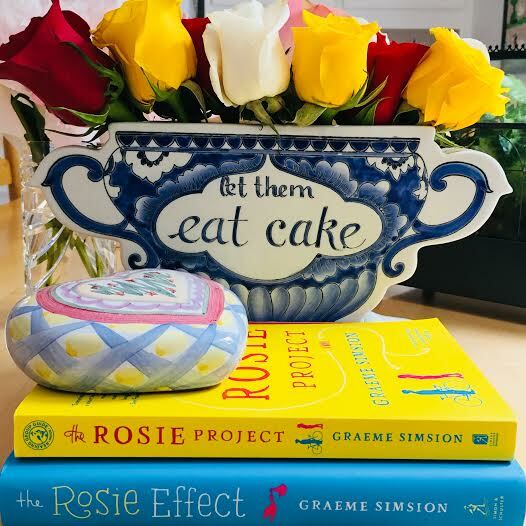 I read that Simsion is working on book three in the Rosie trilogy, and I can't wait to read it! The book covers above are affiliate links to purchase the books via IndieBound. Hello, My Lovelies! Today I'm staying inside due to a code orange air quality alert. It was so beautiful and cool this morning. The sky is blue. I want to be outdoors so badly but with my asthma I would pay dearly for it. So today I'm staying inside and playing with houseplants and reading my new book: At Home With Plants by Ian Drummond and Kara O'Reilly. Get a little greenery in your life with this beautiful, practical guide to decorating with houseplants. At Home with Plants helps you select, plant, and display an array of easy-to-source, easy-to-care-for botanicals. Includes stylish projects—such as terrariums and hanging planters—as well as a special section of design ideas for each room of the house, plus the best plants for each space. Houseplants are hot, and creative interior planting is becoming increasingly easy to achieve. 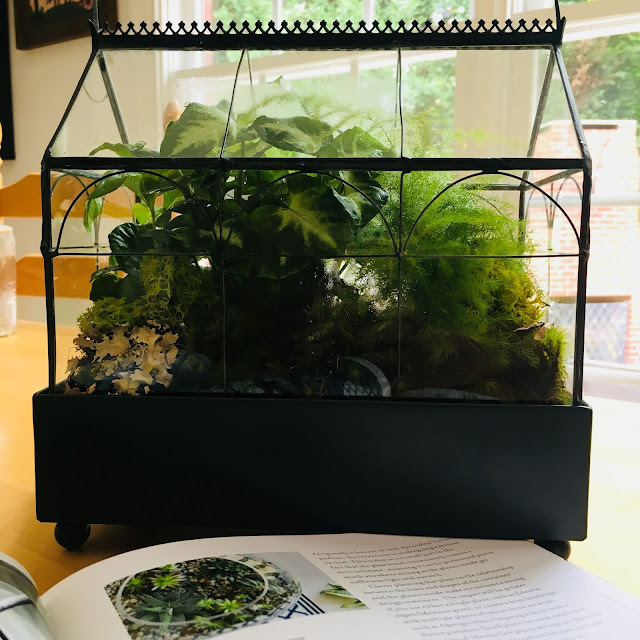 Indoor gardening is not just about growing a plant, but about using it as an accessory to boost your home’s style and mood. 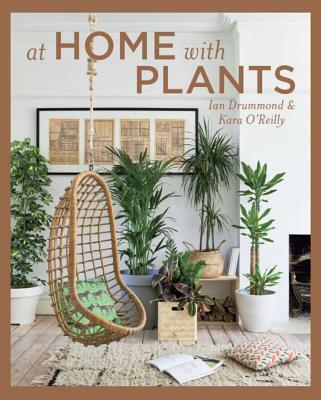 In this inspirational book, interior landscape designer and Royal Horticultural Society Chelsea Flower Show gold medal winner Ian Drummond pairs up with interiors writer Kara O’Reilly to show you how to transform your home with plants, offering up more than 250 gorgeous aspirational images and ideas for each space in the house. The first thing I noticed about this book is it lacks the seventies-revamp-boho-vibe I was expecting based on the cover. Most of the interiors are not your typically cluttered English style, either. They tend to be minimalistic allowing the gorgeous plants to take centerstage. Another thing I noticed is that most of the interiors were either bright white or dark and moody. Above is a listing of the book's sections and chapters. 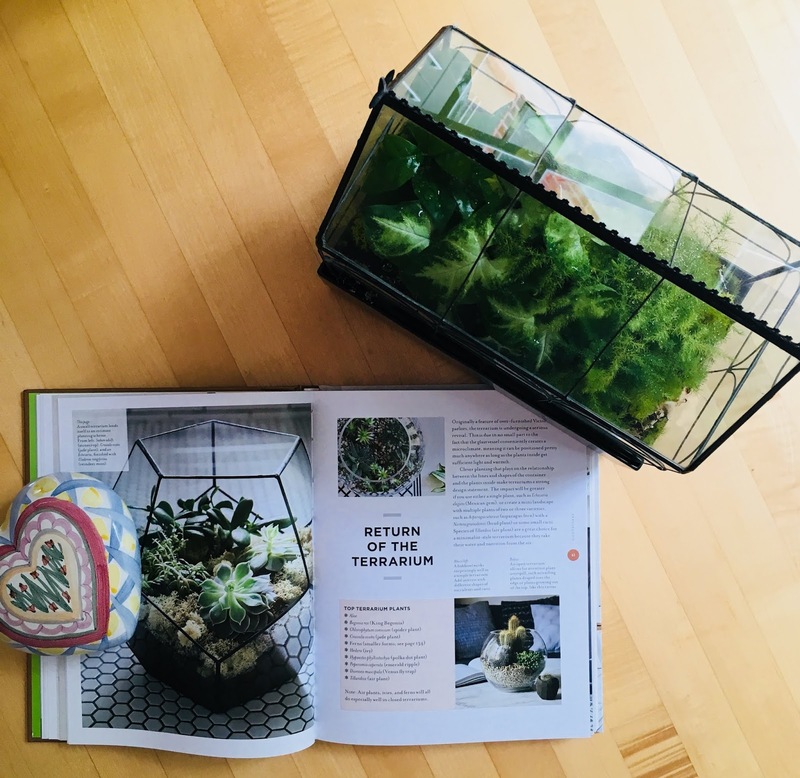 Of course I found the chapter on the health benefits of houseplants refreshing because they filter toxins and pollutants from the air in our homes. I appreciate the list of the most effective plants that clean the air, and I will purchase a few within the week. Another benefit of this book is that it lists houseplants to avoid if family members suffer from allergies and/or asthma. So many people believe that bringing in houseplants will cause their allergies to worsen, but since most of them release few (if any) pollen spores AND they act as natural detoxifiers and filters, they are good for everyone if they are dusted regularly (which is good for the plant). There are many tips and tricks about how to display plants in your home, and I was fascinated with the section about which plants are appropriate for which rooms. There are also a few great ideas about where to place them because we have very little surface area in our home. 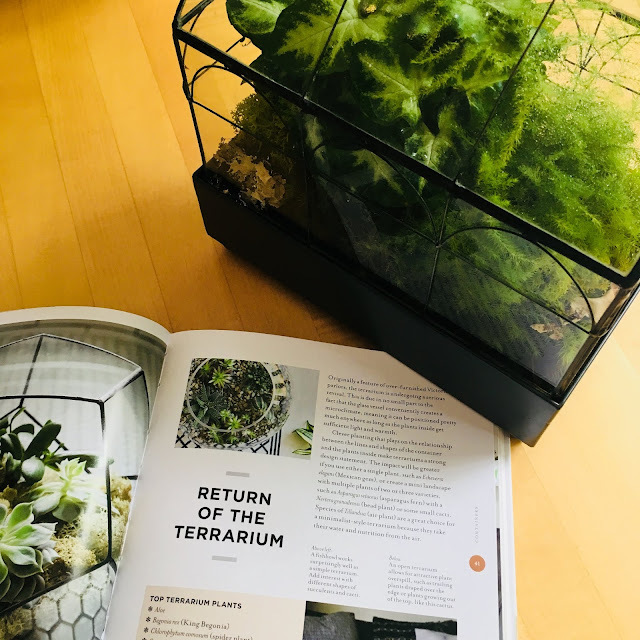 The beginning of the book mentions trends in houseplants, and I was fascinated reading about them, especially kokedama. Kokedama means moss ball in Japanese, and this trend looks so beautiful, but it might be above my skill level. The Basics section has tons of helpful information on how to care for your houseplants, and the beautiful and colorful photos of both the plants and interiors make this book a wonderful resource. Speaking of resources, there's also a fantastic list of suppliers in the back of the book. Since I was a child, I've always been fascinated by terrariums. 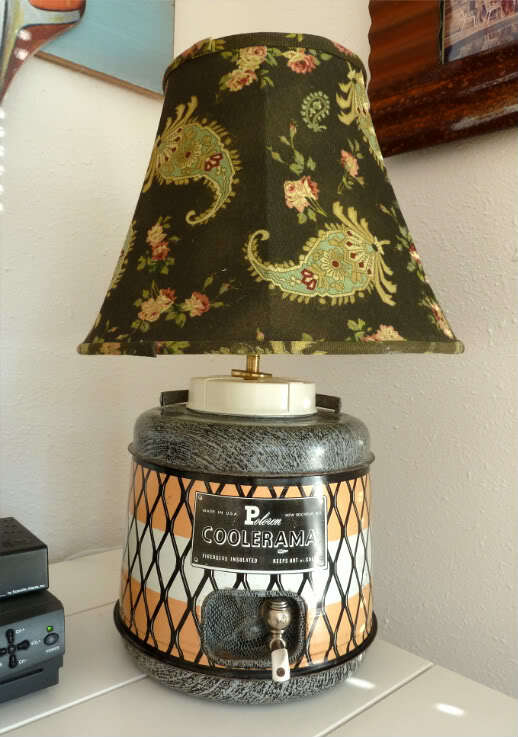 I bought this one years ago at Smith & Hawken, and I've had it filled with a variety of plants and other objects over the years. I was inspired by "The Return of the Terrarium," so I took my terrarium to Leaf 'n Petal and they helped me plant it. Y'all...it's difficult to get a good photo of a terrarium! Almost as hard as a shiny library book! I love the cover photo. The textures are fantastic in this interior! My books is a gift, and it was purchased at Anthropologie. The photo above is an affiliate link for purchasing the book via IndieBound. Now I'm off to peruse this book again and make a list for the nursery. Do you have lots of houseplants in your home? Hello, My Lovelies! Happy June!!! It has been an interesting spring to say the least. We had two trips planned, and we had to cancel both. The Countess de Monet is lonely. But we have been to Lake Marin a couple of weekends, but we spent Memorial Day Weekend anticipating subtropical storm Alberto. We were fortunate that we didn't incur any damage other than some large tree limbs, but our daughter's college (Judson College) sustained lots of damage due to torrential rains to the equestrian center, and several buildings had basement flooding, including the one that houses the college's servers. Shelley is taking two distance learning courses this summer (so she wasn't on campus), but with the servers down she can't access her lectures. Plus, the internet in our neighborhood has been unreliable for the past month. Lots of frustrated folks around here, and yers they're all first world problems! Thankfully no one was hurt, and most of the horses are spending their summer off campus, and all are fine. Since I've been homebound, I thought I''d share a few photos from our garden here at home, and the lovely landscapes around our marina at the lake. This morning we're headed to the lake cabin. 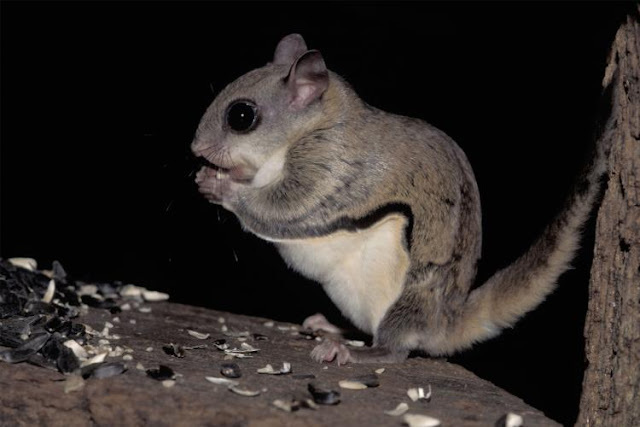 In the wee morning hours, our lake cabin security system notified us that there was someone inside. Mr. Sketchy Reader said he thought it was a passing car, but when he saw the video this morning, a squirrel was smiling at the camera. Then it took a long leap to the sofa. I'm so sketched out I'm not going to lie. ...and these two won't be happy at all about the squirrel. Mustang Sally in the background has her champion points as a barn dog. But all is not lost on this post. I do have friends with much more exciting lives than mine. Honestly, I think I live the most boring life in America. During the rainy days I've been organizing; this is my table linen armoire. Thanks for your time and attention. I promise next time I'll have something more interesting to share! But you can check out these ladies' posts. They'll be fun plus one of them is hosting a giveaway, so hop on over and see what dynamic women who have fun are up to! Isn't this a great prize!